Momma Told Me: Don't forget your lunch! When I was growing up 'bento' style lunches weren't even a concept in North America. Most of the things being unpacked from my school lunches were pre-packaged in bags, and conveniently shelf stable. While Pop always was sure to write encouraging notes in Sharpie on my Ziploc baggies, for the most part, lunch was not my favorite part of the school day. And, judging by the haphazard composition, packing it was not Momma's favorite, either. So, when the Bento craze his us just a few years bag, an Moms nationwide began Pinterest collections of food that doubled as art, and 10 course mini meals, I was a bit jealous. Concepts such as 'hot dog octopus' and 'cheese strand pencil' inspired me to begin packing a lunch for my other half. 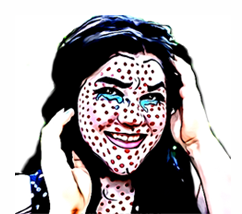 However, I was quickly reminded just how tedious this can be. I'd either reach for an overwhelming amount of junk, or end up fighting with fitting all of the objects into a tight fit space. 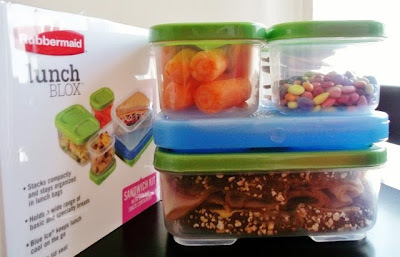 When Rubbermaid released their newest food storage innovation, LunchBlox, I was intrigued, yet skeptical. While a click and lock, modular, based food transport system seemed ingenious, there were many concerns about functionality. 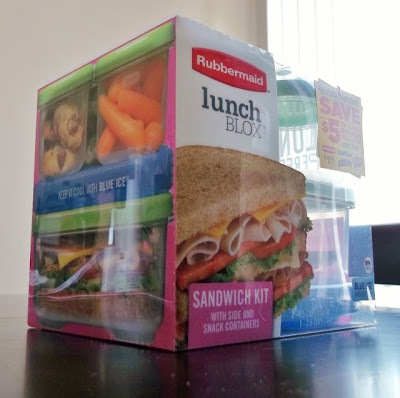 I received a basic LunchBlox Sandwich Kit for feature here on Momma Told Me. This kit is sold in grocery stores, and mas retailers, nationwide, for around $13. Perhaps the most intriguing aspect of this concept is the ability to build and expand your packing power infinity with various sized and shaped 'blox' containers. 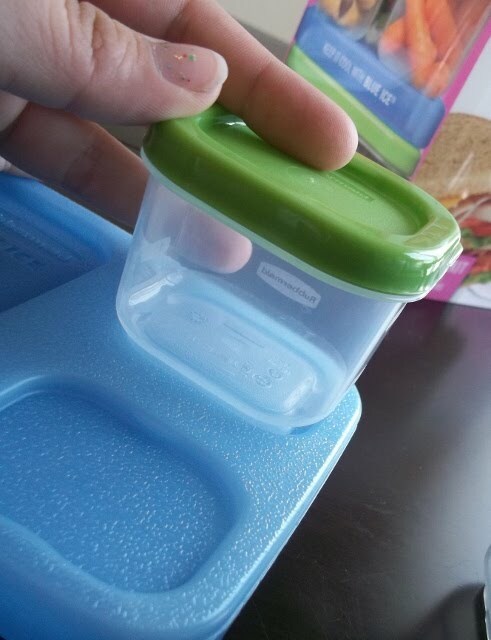 The Sandwich kit includes a Sandwich Container with 3 blox footprint, Blue Ice cooling pack, 2 Snack Pack containers (1/4 the size of the sandwich footprint), and 1 Side Container (1/2 the footprint of the Sandwich base). Add on containers are most easily available directly from Rubbermaid.com, and average $5 a pair. You'll also find 'Entree' containers, larger than the sandwich size, for storing leftovers or packing for adults. 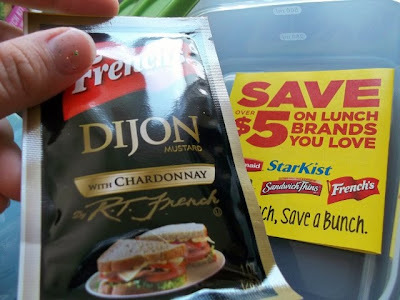 Included with our Rubbermaid Sandwich Kit were some valuable coupons to purchase all the basic 'sandwich essentials', and a sample of French's Dijon with Chardonnay Mustard. I'll admit, pulling the neat cubic system out of the packaging, and seeing just how compact everything was, kind of excited me. 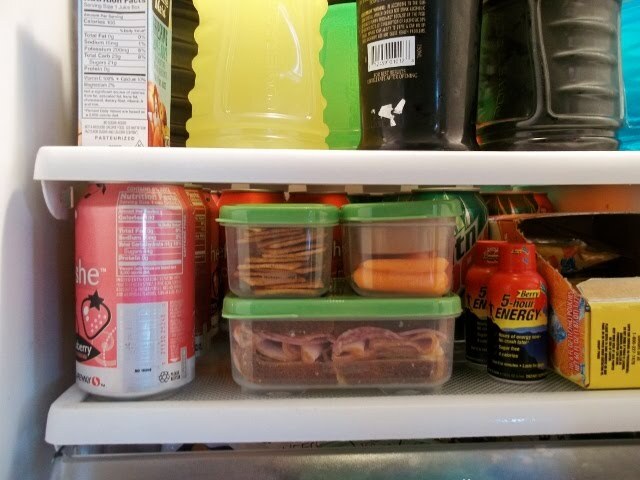 I am near OCD when it comes to cleanliness and organization, and I knew this system would not only inspire and challenge me to pack exciting lunches, but make storing them a breeze. The entire Lunch Blox system fit onto our most narrow fridge self, completely packed and ready to go. 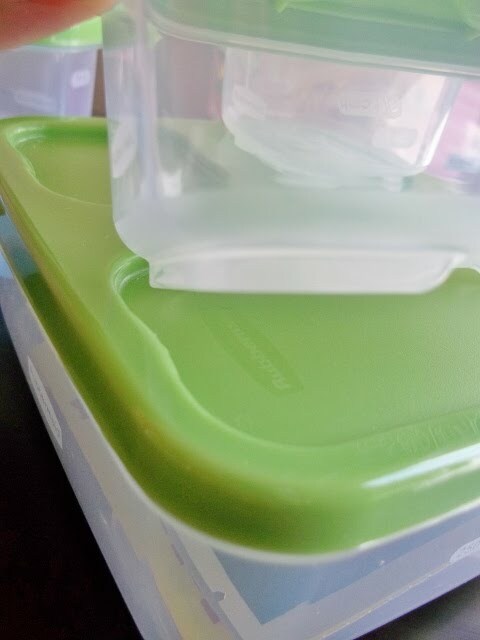 The lids of each piece feature cut-outs with notches to interlock into the tabs on the bottom of each container. 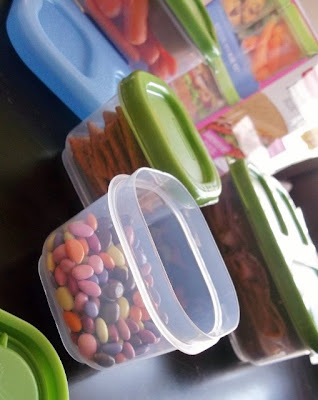 The pieces don't seem to lock as tightly as I'd prefer, or expect, and the smaller Snack compartments tend to get knocked around from time to time; though the general functionality is there. The base of the LunchBlox kit is the perfect size for one standard sandwich, where the Side compartment fits carrots an a snack pack peanut butter, and the Snack compartments are perfect for a small dairy and/or sweets portion. I've yet to find a day where I couldn't pack perfect portions of just about anything in our kitchen. This makes me feel better about my packing choices, because the high calorie stuff is kept to actual portion sizes, and the other half enjoys the variety and surprises. There are also measurement markers on the size to indicate quantities (for portion control and dieting). While the Blue Ice will interlock into any park of the Lunch Blox system, we prefer to place it between the layers to efficiently cool the entire lunch. I'm always hesitant about how interlocking, and lid based, plastic containers will hold up, but Rubbermaid is known for high quality materials. The LunchBlox system cleans and dries wonderfully in our machine, or even by hand. If you are washing by hand, be sure to leave the pieces apart and open sufficiently enough to remove all trapped moisture. Replacing lids too soon can breed bacteria and even mildew. While the LunchBlox kit provides the freedom to rearrange, I like that the sturdy blox structure is much more stable than bags and foil which can crush and even leak in transport. Of course, the entire LunchBlox system is BPA free, and entirely microwave, dishwasher, and freezer safe. 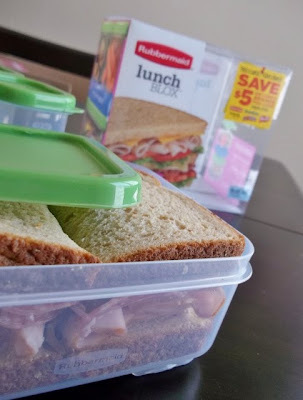 Head to the Rubbermaid website now to print a $1.50 coupon off your first Lunch Blox purchase, in store. What Daughter Says: LunchBlox, by Rubbermaid, makes it easy to pack and store lunches. 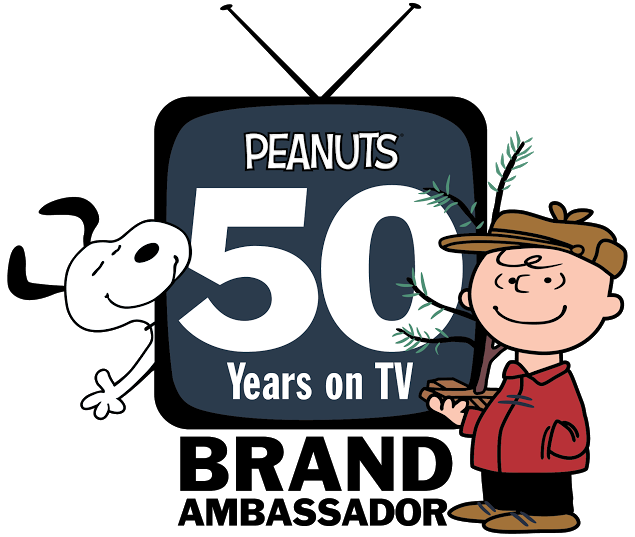 As Required By the FTC: As a member of the Rubbermaid Buzz Review Program I recieved the above product for consideration. No other compensation was provided. My views and opinions were not swayed or altered in any way. I just love the look of these. I'll bet they look so neat and clean in fridge. 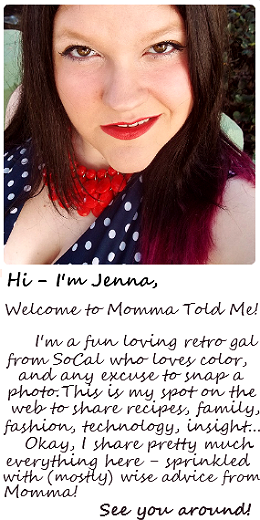 I have seen them on a lot of blogs and I like them more and more as I see them! I love these! 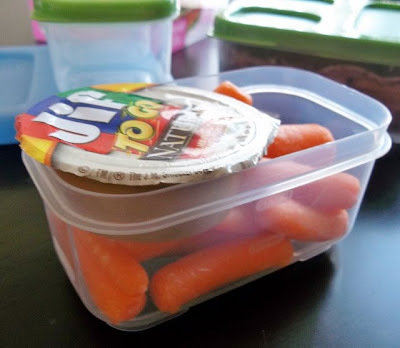 They make lunch so easy and it's perfect to send to my son's school! 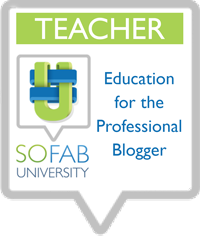 Thanks for an awesome review! Love how easy these are to make lunches! Saves money!